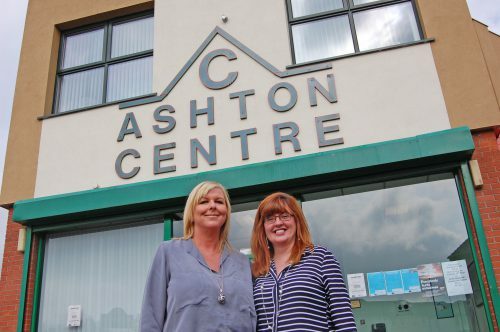 Ashton Community Trust was awarded the lead for the Lower North Belfast Family Support Hub in 2015. Family Support Hubs provide early intervention family support services to families and children/young persons aged up to 18 years. All families can need support at some stage; a sudden bereavement, finding yourself in debt, not being able to manage your child’s behaviour, questioning your ability as a parent or worrying that you child may have additional needs. The development of the Lower North Belfast and associated Family Support Hubs means that there is a place you can go and be listened to and supported. You no longer need to feel alone, worrying which way to turn, we can offer you support. The Family Support Hub is a multi-agency network of statutory, community and voluntary organisations that either provide early intervention services or work with families who require early intervention services. When working with families The Hub uses knowledge of organisations to signpost families to the services that best meet their specific needs. This collaborative way of working ensures that families get the support they require when they require it. 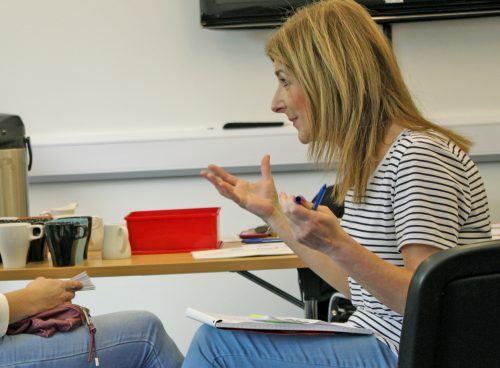 There are a number of ways you can be referred to the Hub for support: you can refer yourself (self-referral), your child’s Health Visitor may refer you as can your child’s school, your GP, a local community organisation or you could be referred from many other sources. Family Fundays: These workshops allow family groups to spend time in FabLab experiencing how we use new technology to make new things. Family Fundays allow families to come together and bond over new creative activities that use technology in a safe and private environment. Parent and Child Workshops: Parent and Child workshops allow a time and space for children with their parent an opportunity to use an activity around a computer as a chance to get closer and deepen their relationship. These activities encourage a parent and a child to think, learn, design and make with one another using FabLab Belfast’s suite of creative technology. Bridge of Hope: Bridge of Hope provides support for families and adult members of families who have been bereaved, physically injured or psychologically affected by the conflict. Our family support worker communicates closely with families keeping them abreast of what additional support may be available to them through the Victims & Survivors Services (VSS). This relates to help for carers, support for the physically injured in managing chronic pain and support for the bereaved. The family support worker provides guidance on how to register with the VSS and can assist with filling in application forms if required. The family support worker can directly contact VSS on behalf of families if they have queries around services or concerns around eligibility. The family support worker also provides counselling support for those suffering psychologically and can arrange a seamless and timely referral for those who wish to avail of further support services through Bridge of Hope. If you would like get in touch with us, please contact Jean Fox, Family Support Link Worker, McSweeney Clinic 028 95438707. Community Development: The Community Development Coordinator has a close working relationship with the family support elements provided by Ashton Community Trust. He is regularly briefed about all developments relating to Ashton’s Family Support services and in turn ensures that all relevant information is made available to local community groups and residents. Information is passed on through community meetings and articles and advertisements in the community magazine and through various forms of social media. He also arranges and facilitates presentations and meetings between Family Support providers and local community groups. In his everyday engagements with residents and through regular networking with other groups the Community Development Coordinator often refers people on a personal basis to the Family Support facilities. New Lodge Youth Centre has been funded by Belfast Outcomes Group to deliver two Family Support Programmes to support children and young people across the Lower North Belfast Family Support Hub area. The programmes focus on providing children and young people with skills that will build resilience to help them deal with the daily challenges and adversities they might face to help them navigate successfully into adolescence. Sessions are fun and interactive integrating behavioural personal development focused workshops with arts, sports and cookery. The programme is aimed at children and young people aged 5 – 7, 8 – 11, 11 – 13 and 14 – 17 years and delivered during after school and weekend sessions.